Blue Frog Audio will help customers understand what the the acoustic problems are in their room and provide practical solutions that work acoustically and look good aesthetically. 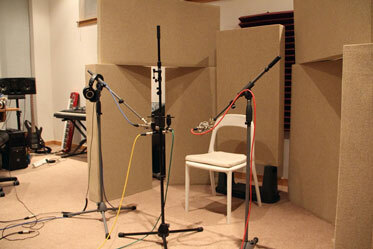 For detailed information on studio, home theatre and hi-fi room acoustics please see our Acoustic Treatment Guide. 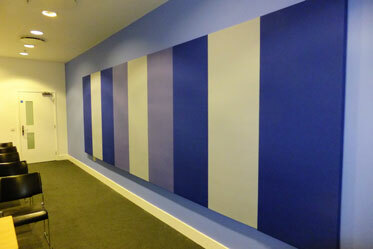 For meeting room, office and classroom acoustic treatment information and advice see here. 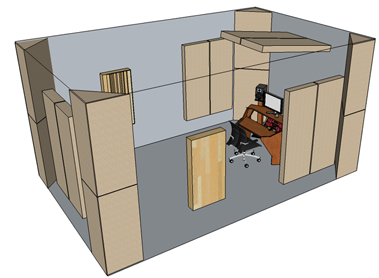 All rooms are different in terms of their acoustic problems, and we are always happy to help / advise on what the best treatments (and placement) are for a customer’s room. Not sure which products to use? Where to use them? How they’re installed? 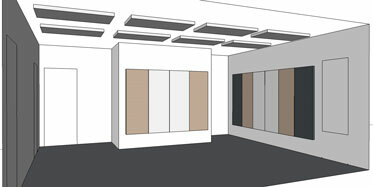 Or call Joe on 07800 952 474 to discuss your room and get advice. * We don’t share customer information with third parties and will not contact you unless requested. Please copy the characters from the image into the text field. Doing this helps us prevent automated submissions. If you haven’t received an email reply within 24 hours please check your spam / junk email folder. Our email replies very often have file attachments giving details of calculation results and links to recommended products, which some email services can view as spam.